The World Trade Organisation (WTO) and the International Chamber of Commerce (ICC) have selected The Institute of Export & International Trade’s (IOE&IT) proposal to run an ‘Open to Export International Business Awards’ over the summer of 2018, as part of the Small Business Champions initiative, alongside proposals from Ebay (the US) and the National Confederation of Industry in Brazil. The IOE&IT proposed an international version of the Open to Export Action Plan competition to the ICC-WTO panel. Through Open to Export, companies can use the online ‘Export Action Plan’ tool to take ownership of their export strategies, making decisions along each step of their international trade journey – from selecting a market to delivering products or services to new customers. The ‘Export Action Plan Competition’ rewards the best export plans with prizes and further support for the businesses to take their next steps in international trade. The Open to Export International Business Awards will be aimed at MSMEs from around the world with 20 finalists invited to pitch their plans to a panel of judges at the WTO Public Forum at the start of October. The 20 finalists will receive training in export skills, and the winning entries will receive support from the Institute to put their plans into action. The Institute of Export & International Trade is honoured to have the Open to Export platform recognised in this way on an international platform. 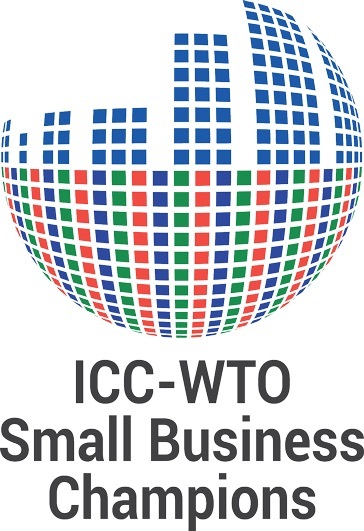 “We are delighted and honoured that our proposal to the ICC-WTO Small Business Champions Initiative has been accepted. The competition will be an incredible event, showcasing the fantastic variety of SMEs across all sectors and in all parts of the world grappling with the challenges and opportunities of exporting. The project will also open up the wealth of trade information and advice on the Open to Export site to a wider audience, showing that Britain is keen to do business with the world and support global trade, especially as we leave the European Union. The ‘ICC-WTO Small Business Champions’ initiative has been launched by the WTO and the International Chamber of Commerce (ICC) to facilitate participation by smaller companies in international trade. It will provide a platform for companies and private sector organizations around the world to propose innovative, practical ideas designed to encourage micro, small and medium-sized enterprises (MSMEs) to do business across borders. Those businesses putting forward successful proposals will be recognized as ‘ICC-WTO Small Business Champions’.